The Stornoway Golf Club is a beautiful 18-hole golf course on the grounds of the Lews Castle, just outside the town of Stornoway. Measuring 5,252 yards, the course may seem short but it is quite challenging even for the most experienced golfers. History of the Stornoway Golf Club dates to 1890. However, the original course was located on the site of the present-day airport. 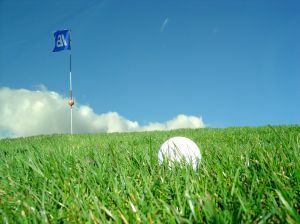 Golfers enjoyed the game at the original site until the beginning of the Second World War when the Air Ministry acquired the site. After the end of the war, the Club was given a compensation which allowed it to move to the present site on the Lews Castle grounds. 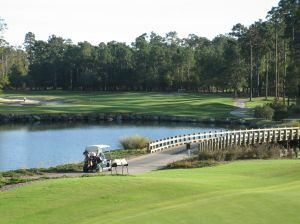 The game of golf is played on the current site since 1947. The golf course is open to visitors and normally, bookings in advance aren’t required. Keep in mind, however, that the course is closed on Sundays. The islanders feel strongly about their traditions and many strictly observe the Sabbath Sunday. Lewis isn’t an island of its own but rather the northern part of the island of Lewis and Harris. In comparison to the southern part of the island, Lewis has a much flatter landscape and as a result, it is home to the largest settlement in the Outer Hebrides – Stornoway. It is also the most populous island of the Outer Hebrides. As mentioned earlier, Sundays are very special to the islanders. Many things including tourist attractions including the golf clearance store are closed on Sundays although things have began to change in the recent years. Nevertheless, it is a good idea to plan Sunday activities that don’t require service such as trips to nature for instance. In addition for its unique culture and tradition, the Isle of Lewis is also famous for its spectacular landscape and diverse habitats which are home to a wide range of plant and animal species. But the island is also known for fantastic historical attractions such as the so-called Callanish Stones, Dun Carloway and Blackhouses, to mention only a few. Lewis (and Harris) is one of the most visited islands of the Outer Hebrides. And with Stornoway serving as the main entry/exit point, the majority of accommodation is concentrated in Lewis. Finding a place to sleep thus should not be a problem, regardless of your personal preferences. You can get to Lewis by an aeroplane or a ferry. There are daily flights to Stornoway from Glasgow, Edinburgh and Inverness as well as from London. If you choose the sea route, book Caledonian MacBrayne ferry which runs from Ullapool. Also an option is to take a ferry from Uig but rather than to Stornoway, this ferry will take you to Tarbert on Harris.